The Corvus Lever on Plate handles will be a focal point on any door. With an elegantly curved back plate measuring 182mm and a wave shaped handle of 112mm, this stylish yet functional piece can add a softer edge to contemporary designs. 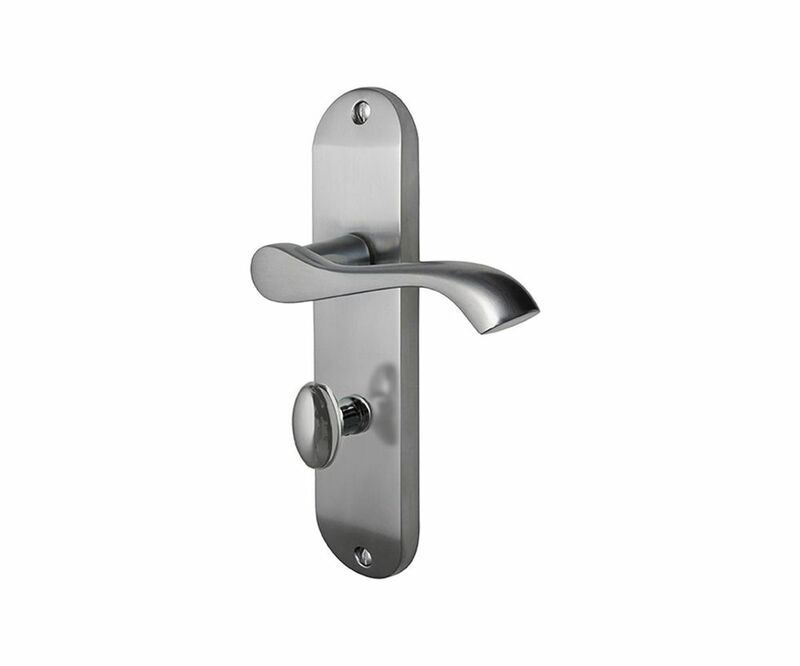 Available in a choice of 2 chrome finishes and 4 lock options. ~ Lever Latch: no lock, held shut via a latch, on a shorter backplate ~ Lock: keyhole located beneath the lever, use in conjunction with a sash lock to add security, the door can be locked with a key ~ Euro Lock: keyhole located beneath the lever, euro profile lock, secure the door with a key ~ Bathroom Lock: turn and release mechanism located beneath the lever, emergency override on the outside, used for privacy, not security, Please note: Sold per set. Comes with 12 Year Mechanical Guarantee.